Recently, an incident hijacked my musings—a soul-lifting performance by UB40 for a handful of audience at Pune’s Phoenix Mall. Not even in my dreamiest of moments in the 90s, could I have imagined swaying to the original beats of ‘Red Red Wine’ at a shopping mall in a developing country. The poster boys of yesteryear reduced to the vulnerable nobodies of today! It made me wonder, which is a tougher climb—uphill or downhill? The will to create our destiny fuels us to climb higher, while accepting our destiny helps us to climb down. The journeys of ‘creation’ are flooded in business journals; the journeys of ‘acceptance’ find their place in spiritual writings. Gifted are those who are able to excel on both sides of the hill. Is there a secret that allows a rare few to handle the two contrasting journeys with an equal grace? 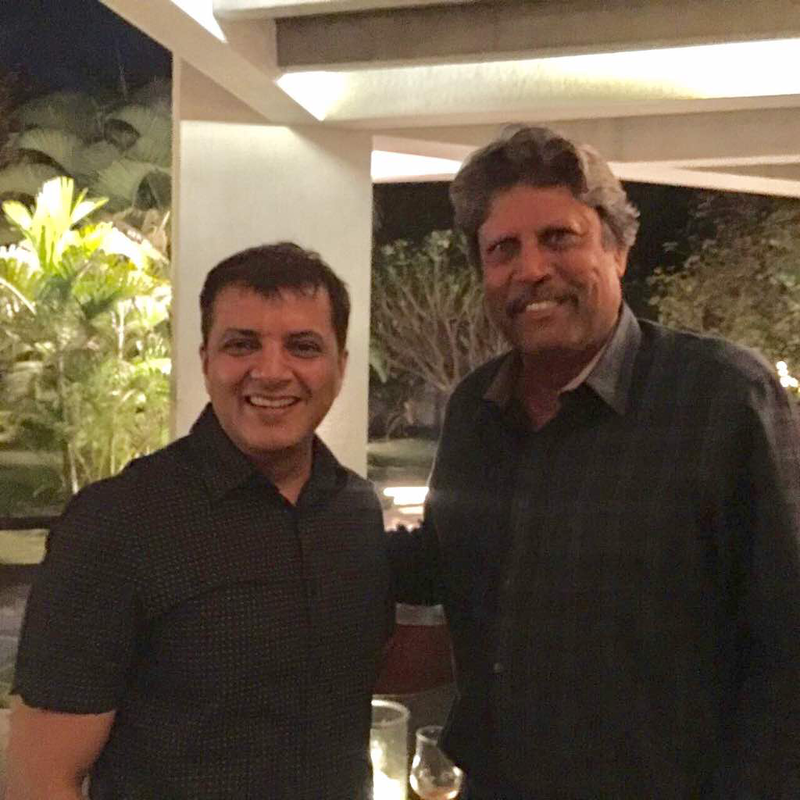 A few weeks ago, I received an impromptu dinner invitation in honor of Kapil Dev from a dear friend. I was semi excited. ‘Excited’ because it is a privilege to meet someone you grew up idolizing; ‘semi’ because at this point of time the idolizing was irrelevant. It was a select group of five. I sat next to the legend. He was relishing an exotic red wine from Bordeaux. I was sipping my mundane single malt. The two disparate glasses and their partakers made an odd pair. As we clinked cheers, I couldn’t help noticing—with some satisfaction— that his stomach bulged a little more than mine. Our ‘North Indian’ command over English was similar … good enough to strike conversations after years of practice, but not enough to make the cut as an English commentator! It didn’t take long to discover Kapil’s infectious zest for life, and the raw honesty in all his answers. I learnt about his passion for Golf—“The game allows me to improve and compete with myself.” I also learnt about his passion for the ‘lighting’ business he ran—“It’s not very big, but makes me feel productively relevant.” But the moments he looked forward to most were the ones with his daughter. “We are a riot together,” he remarked with a devoted twinkle in his eye. Clearly Cricket was now a fourth fiddle in Kapil’s life. Unfortunately, his other fiddles didn’t do much for me. I hadn’t come out dining on a weekday to hear about a stranger’s business, social, or personal life. I was here to extract insider gossip from the sporting great. I began to wonder. Here is a person who didn’t build permanent bonds with his teammates, underplayed Sachin’s achievements, and criticized the fabled Imran Khan. Was he bitter about something? Which would be understandable—after all, in the days when Kapil played, Cricket was not commercialized enough. In fact his legendary knock of 175 (after his team was reeling 17/5 against Zimbabwe) that got India into the 1983 World Cup finals did not even get covered on TV! The evening closed with the pic accompanying this blog. I thought of Kapil’s journey as I journeyed back home. And the pieces of the puzzle began assembling. The first one is ‘Professional’, the one Kapil tackles with a sense of Duty, be it lifting the World Cup for his country, or keeping himself productively occupied in business even though he doesn’t need the money. The second one is ‘Social’, the one Kapil approaches with a feeling of Devotion, as reflected in his “I”-less approach towards his teammates as a captain, or his doting moments with his daughter. The third one is ‘Personal’, Kapil is forever in pursuit of Knowledge to stretch his potential, as deciphered from his observations on Sachin’s accomplishments, or his governing passion behind the game of Golf. Translated in Vedic terminology—Duty is Karmic, Devotion is Bhakti, Knowledge is Gyan. Together, the three—Karmic Marg, Bhakti Marg, and Gyan Marg—define three paths towards life’s final goal. According to the scriptures, all three paths lead to salvation. We are free to choose whichever path we prefer to pursue. Unless of course, like Kapil, our journey is not about salvation, but enjoying the journey itself. In which case, we need to master, in parallel, the pursuit of all the three paths at all times! A perfect and perpetual balance of the three spheres—Professional, Social and Personal—is the secret behind Kapil’s ability to handle both sides of the hill with an equally astonishing ease! Thanks Arun for sharing meeting with Kapil Dev, Glad to read about Kapil Dev. The legend ‘Hall of fame’ Kapil Dev’s all round fitness is impeccable. thanks. This suddenly reminds about AB’s ‘Baghban’ movie where he proved his might once again during his downhill journey. …possibly KD could win bigger fan following than Sachin…in golf..
Sir, you are humility is amazing! You easily poke jokes at your english- but your mastery over the language is AMAZING. I read your sentence “The poster boys of yesteryear reduced to the vulnerable nobodies of today!” ten times and & salute how you summarised everything in such a beautiful sentence. Also, your comparison of this simple incident with the 3 paths of salvation are remarkable. They provide us with a glimpse of how geniuses like you are made! Sir, your choice of titles for your blogs ring in the mind for a VERY LONG time. Your earlier one “Lean on Me” was crisp and this one “Stroll of Grace” will also linger in thoughts for a long time. You choose simple 3 words, but convey so much more! Very well related to karmic, bhakti & Gyan marg. regularly relating your real life thing to such spiritual thing gives you high sprit to live your life in border sense one may be not very good in relating things, but attempt to same give you positivity. What a moment Sir. I like it. 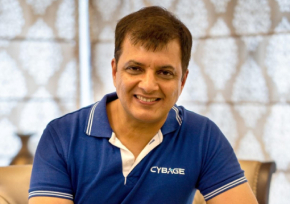 I am ex Cybegian but love your blog. Kapil Dev is my cricketing idol and no one was and will be like him for Indian cricket. Thanks for sharing your keen observations and profound thoughts after meeting the legend. It’s very insightful and thought provoking. Arun, perhaps it’s your ability to observe, ponder and relate which makes you such an admirable as well as infectious leader. I always wonder how do you manage this difficult aspect and salute you for being so grounded in spite of achieving so much! Arun, your choice of words and writing skills are amazing. Whether its your blogs, the quarterly report or your speech at the annual bash. You are a gifted orator. Its been more than a year of leaving Cybage, however, I religiously follow your blogs. Just want to say.. Amazing and Superb!! How elegantly you have molded that whole conversation with Kapil and explained three paths of life. This blog not only highlighted the contribution of Kapil to cricket but also tells us, how one should go about enjoying this epic journey of life. And I really liked your question “Do you feel you were born 20 years too soon?”. This single question has so many emotions. Amazingly articulated! This article reflects his deep insights of physical existence and spiritual existence of a life. Arun, It is always a very fresh air to read your minutely observed narration of a simple situations. And corresponding message is always very thought provoking. Everyone thinks or reads about uphill but loved the thought on “It made me wonder, which is a tougher climb—uphill or downhill”. Arun, you are such a benevolent writer! You deliver deepest messages in simplest ways. After reading your blogs one gets inspired, effortlessly. Your blogs are so enthusiastic and energetic to me.